I hold my hand up that I'm late to the band wagon with cream blushers. I've always been a little dubious about them - will they make my face look greasy? Will they make me look like a clown? Whats the best way to apply them? Also, I've always stuck to making lipsticks do double their duty and using them on my cheeks as well as my lips if I wanted a creamier look than powders can give. To ease myself into trying cream blushes I took the plunge and went straight to the nearest MUA counter. I can rely on MUA to be affordable and have great products. 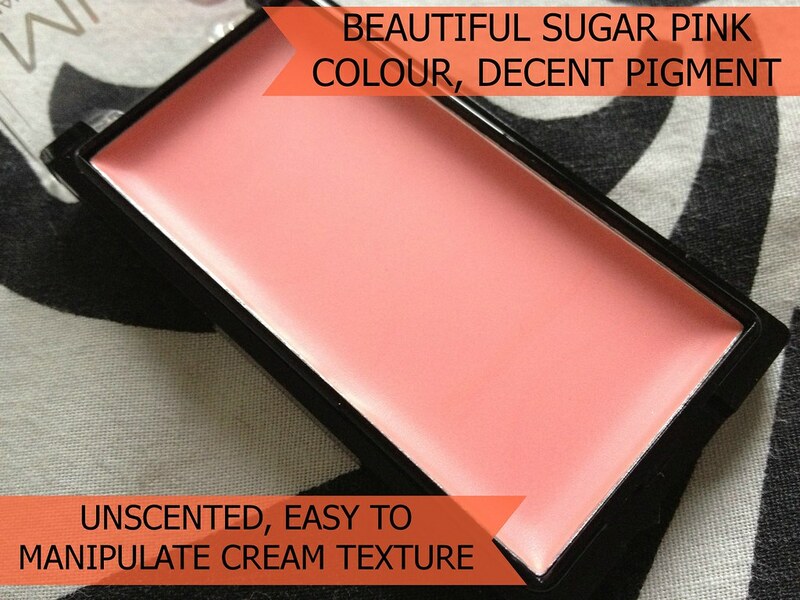 I chose their Blush Perfection Cream Blusher in 'Bittersweet' to try and am so glad that I did. 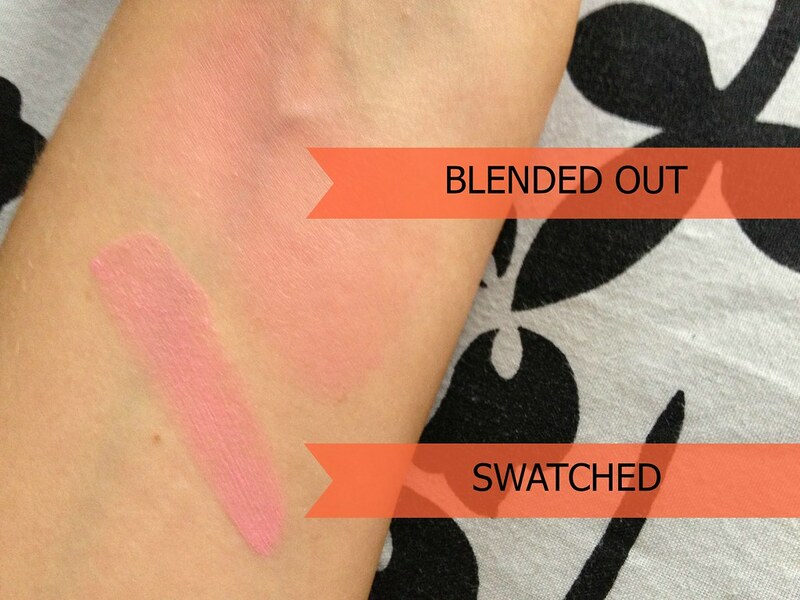 Bittersweet is a cute dolly-pink colour which is sheer on application but easy to build. I like to wear it reasonably sheer, stippled onto the cheeks using the Real Techniques Stippling Brush. 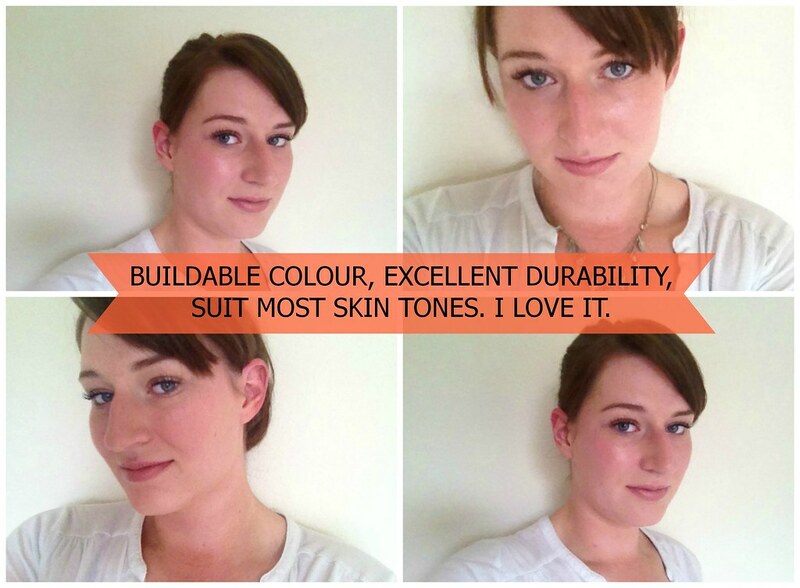 It gives a lovely healthy glow that lasts well during the day, even without a primer. It doesn't slip or slide off the face, even in hot weather, and I think it looks great with a tan although when I wore it before it also looked great on pale skin. 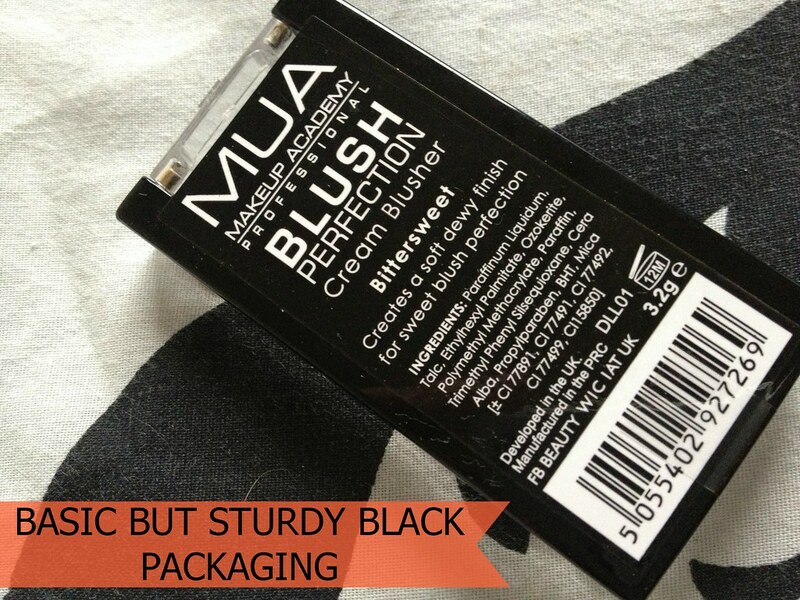 MUA Blush Perfection Cream Blushers come in a range of different shades so there will definitely be something for everyone. I think everyone should own one of these - you really can't go wrong with the application at all. 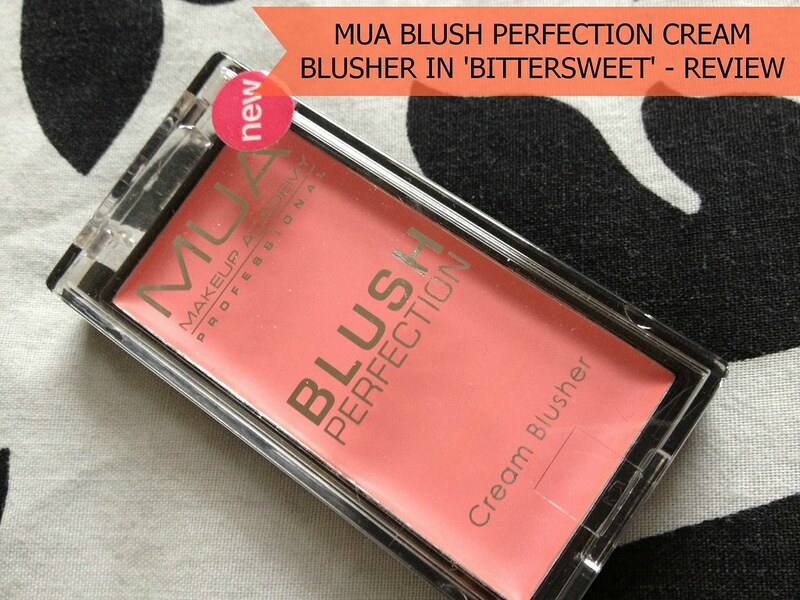 MUA Blush Perfection Cream Blushers RRP £2.00 are available from Superdrug MUA counters and from the MUA Store online. MUA have a Twitter account and Facebook profile where they host competitions and release information about their products as well as new product launches and news updates. MUA also have an Instagram which showcases products and inspiring looks. Loved the color. Will order it soon. Have you only recently bought this? Just noticed the 'new' sticker. It drives me absolutely barmy that MUA insist on putting 'new' stickers on the majority of their products - these have been out at least a year, they are not new! Sort it out MUA! I love this blush and it looks pretty on you!